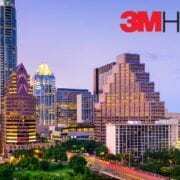 The 23rd Annual 3M Half Marathon, produced by High Five Events, endured high, gusty winds on Sunday, January 22nd. 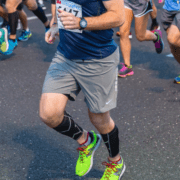 The fierce winds didn’t stop the elite men and women from putting in some speedy times or deter hundreds of participants from PRing on one of the nation’s faster half marathon courses. More than 6300 participants registered for the race also known as Downhill to Downtown. Other than the forecasted high winds, the weather was perfect for running. Runners toed the start line at 7:30 a.m. and begin their race to the Texas State Capitol. Navigating their way downtown, runners enjoyed a fully supported course, complete with eight fully stocked aid stations featuring nuun hydration, a CLIF Bar CLIF Zone, and thousands of cheering spectators with hilarious signs. Lauren Smith Stroud (1:17:07) was the overall female winner; with Nora Colligan (1:17:27) and Brooke Slayman (1:18:03) finishing second and third. The top three female Master’s finishers were Chris Kimbrough (1:23:00), Tammy Bogle (1:25:07), and Christina Hughes Babb (1:29:06). 2017 3M Half Marathon Male Champion, Mark Pinales. Mark Pinales (1:06:51) crossed the finish line first. Adam Waldum (1:08:49) and Daniel Glaz (1:09:03) completed the overall men’s field, respectively. The male Master’s finishing in the top three consisted of: Kevin Kimbell (1:15:55), Hernan Rozemburg (1:16:06), Steven Hernandez (1:16:45). 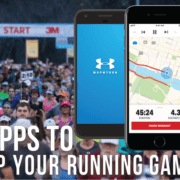 Participants can see their results on the website and continue to share their amazing experiences on the 3M Half Marathon’s social media channel. 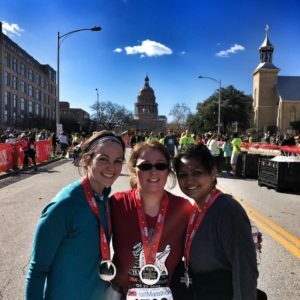 For those planning ahead to January 21, 2018, next year’s registration is open and set at the low price of $65. This amazing deal will be available until January 25th. 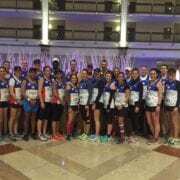 Runners can find their race day photos on Marathonfoto.com. Search for ‘3M Half Marathon 2017’ and enter your last name or bib number. 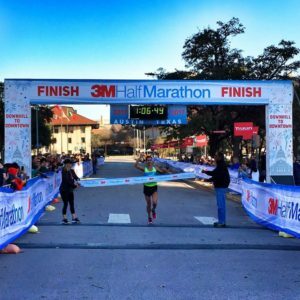 The 3M Half Marathon boasts one of the fastest 13.1-mile courses in the country and will open registration for 2018 on Monday, January, 23rd. 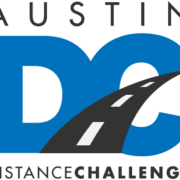 Runners will enjoy a point-to-point course with mostly downhill running that showcases some of Austin’s finest locations. 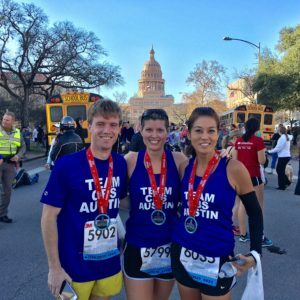 Starting in north Austin and finishing in front of the Texas State Capitol, runners will appreciate a 306’ net elevation drop. Make sure to watch us in the news. Who knows, you might be in the segment! FOX7, Spectrum News Austin, and KXAN.